This is the summary of consumer reviews for BUNN BT Velocity Brew 10-Cup Thermal Carafe Home Coffee Brewer. The BoolPool rating for this product is Very Good, with 4.20 stars, and the price range is $123.40-$159.99. 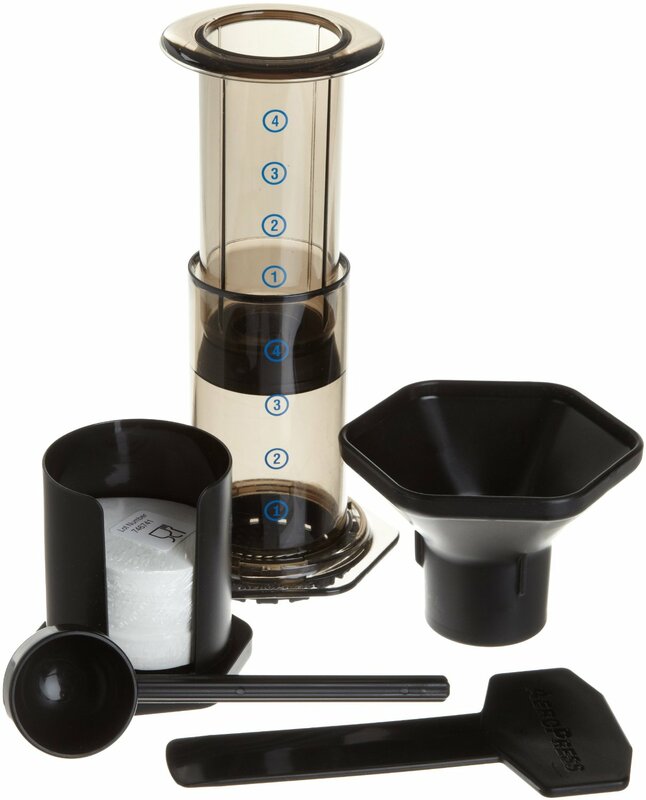 The BUNN BT Velocity Brew 10-Cup Thermal Carafe Home Brewer features a unique sprayhead to ensure an even, complete coffee flavor extraction. For better brewing, water is kept at the optimal brewing temperature in an internal hot water tank. This means it’s ready to brew and delivers 4 to 10 cups of delicious, hot coffee in about 3 minutes. 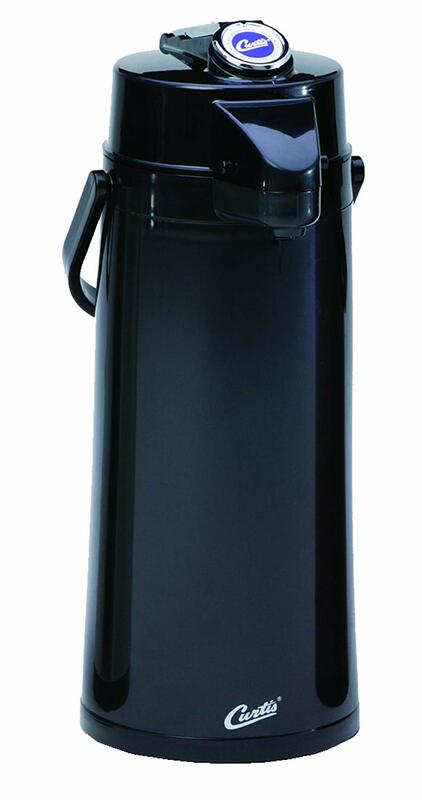 A double wall, vacuum insulated thermal carafe keeps coffee warm for up to 2 hours while maintaining the taste and aroma of the coffee. This carafe is durable and dishwasher safe too. Some users complain that the pot leaks and spills when pouring a cup of coffee. Also, since the unit has a reservoir of hot water, it needs to be on all the time to maintain that system. Overall, BUNN BT Velocity Brew 10-Cup Thermal Carafe Home Coffee Brewer stands true to its middle name “Velocity” and brews a pot full of good coffee in about 3 minutes and also keeps it hot for hours. or Google on "Bunn coffee maker leak". Best coffee maker I've had yet!!. The water heating element just stopped working. 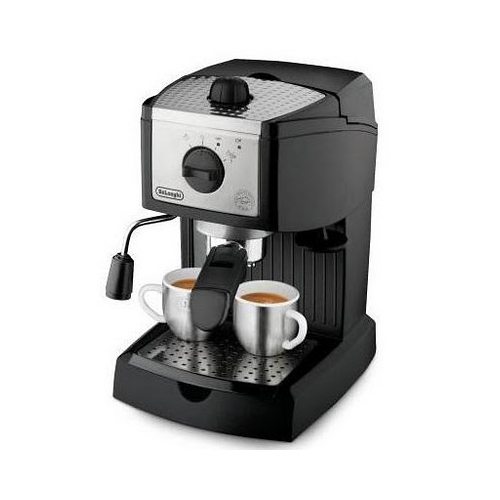 I've 2 of these coffee makers and love them. And indeed it brewed quickly, but alas my second maker decided to stop working after 1.5ys. Yes, the lid still leaked, but I learned from experience with the first maker to pour really slowly. 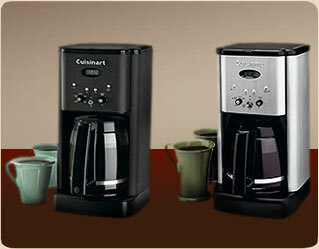 I owned 2 of these coffee makers. To be honest I think the only reason I bought a replacement BTX-B maker is the super-fast brew time. Extremely high priced coffee maker to have to buy a replacement every 3 years. This coffee maker is fast. 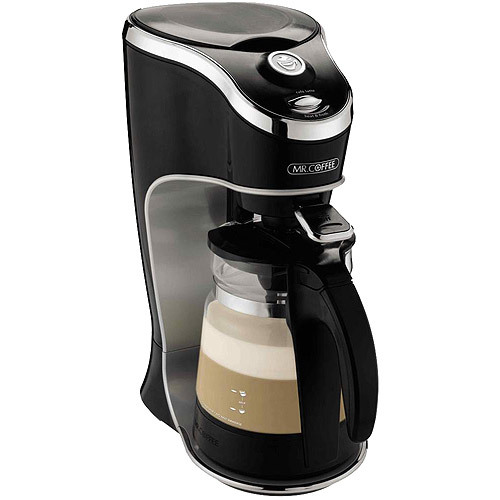 It's fast, makes the coffee taste "richer," and no problems like other reviewers have stated. I love the Bunn coffee maker. I recommend using filtered water for the best taste. I bought the Bunn coffee filters after reading that they were taller and work better. The best coffee maker I've ever used , no stupid dials like brew strength , warm/hot or clocks . Some reviews claim a problem with top cover , not with mine . We use filtered/bottled water for better tasting coffee. I've always loved Bunn Coffee Makers because they're fast and make a great cup of coffee so I was excited to see the ThermoFresh maker. I did my research and review several thermal carafe coffee makers. I love this coffee pot. It's easy to clean, and the thermal pot keeps the coffee warm for a long time. It brews a full pot in about 4 minutes. The units last about 2 years so they're good for over 2,000 pots of coffee (less than 10 cents per pot). It'll make a fresh pot in 5 minutes or less. We bought this coffee pot because we wanted the best, which is what you'd expect from a $150 coffee pot with the Bunn name. We get a pot started go into the bathroom to brush teeth and comb hair and the pot is ready to drink. It brews a pot in under three minutes. Carafe leaks cant make a full pot and it leaks all the way around top when you poor a cup. The pot on this model captures about 1/4 cup due to the lip -basically have to turn pot upside to empty. The pot that came with this coffee maker leaks also. A friend had one and the pot leaked but the replacement was perfect. The pot did leak all over the place when pouring a cup of coffee. This's the first time I purchased one with the thermal pot. This's the first time I've ever had "trouble" with a Bunn coffee maker. I've always loved bunn Coffee makers this's was my second. Makes coffee in know time and the pot keeps it warm for several hours. (The first Bunn BTX lasted over four years making from one to three pots of coffee per day.). We're big coffee drinkers and prior to purchasing our first Bunn had to purchase a new coffee maker every 6, 8, or 12 months. 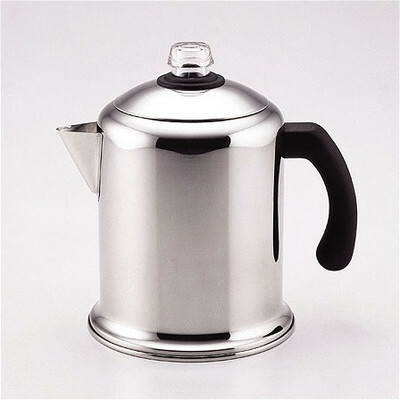 The thermal pot keeps the coffee fresh and hot to the last drop. Stands true to its claim of three minutes for a hot pot of coffee. No spills or dribbles, and it keeps the coffee piping hot for a good 90 minutes, and then drinkably hot for another 2 hours. The thermal carafe keeps the coffee hot for a good amount of time, although it only holds 6 regular sized cups of coffee which isn't an issue cause you can make more hot coffee in 3 minutes. Also the carafe keeps the coffee really hot. It keeps the coffee hot enough for us. 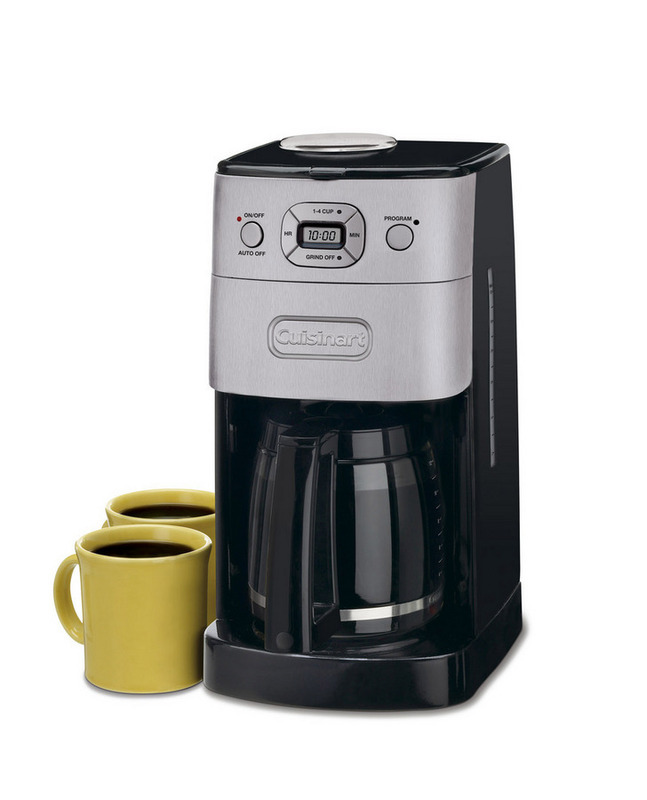 It makes a pot of great tasting coffee in 3 minutes. Well theirs must have been a 12 cup pot because my 10 cup pot is made in a mere 2 1/2 minutes!. The coffee is delicious, stays hot, takes less than 3 minutes to brew a full pot, what more can I say? I love how the thermal unit keeps coffee hot for several hours. It's fast and keeps coffee hot for a long time. 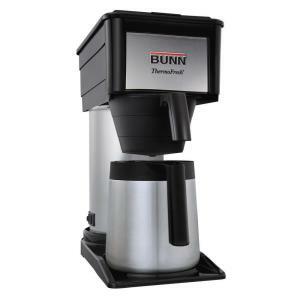 We love this Bunn ThermoFresh 10cup Coffee Brewer, It meets all expectation, and keeps coffee hot for a long time without tasting bitter after a couple of hours. machine is supposed to keep the water in the well at 200 degrees so that you'll always have hot coffee and the thermal carafe is supposed to keep it hot. also keeps the coffee hot for a very reasonable amount of time. The carafe keeps the coffee hot enough to drink for quite awhile, without burning it on a warmer. The stainless steel container keeps the coffee fresh and hot for many hours. He says that it keeps the coffee from getting bitter on a hot plate. Keeping it clean will keep it from leaking. 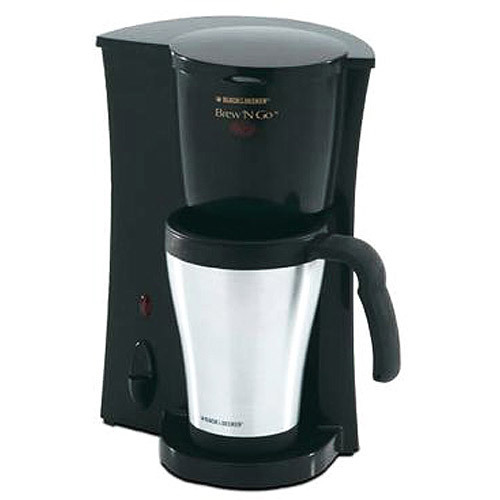 the two best features are 1 it's a thermal coffee pot which keeps coffee hot for hours,without changing the flavor! One pot of brewing water is always being kept hot and ready to pour through the filtered grounds (which is why it can brew a pot in 3 minutes). However, it works well because one pot's worth of water stays hot all the time and the other that you pour in, replenishes the hot water in the lower chamber. you can fill the carafee with hot water and it keeps the coffee hot a little longer than if you used cold water.the coffee stays hot for up to four hours.it's also one cup bigger than my old one.very easy clean up. There's a reservoir of hot water stored in the pot. Those familiar with Bunn know that they keep a pot of water hot and ready in the tower behind the carafe. There's a fixed amount of water always kept at temperature, and when you put in the cold water, it dispenses that amount of hot water, then uses the cold water to replenish the reservoir. Consequently, this's a coffee maker that needs to be regularly used to keep the hot water reservoir from evaporating some of the water away, or plan to simply run a pot of water through it every couple of days. Then wash with hot soapy water. I didn't like the fact it keeps an inner reservoir of water hot all the time.